Search engines like Google show sites in search results they believe to be authoritative and relevant. They measure relevance by analysing content and they measure authority based on several things, but most importantly on the number and quality of links a page has, because links are like votes. Still wondering what is SEO? read on! Google promotes pages it thinks are authority pages to the top of it's rankings. 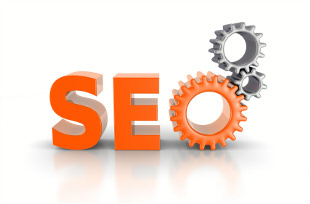 When we build your website you have the option for us to do your SEO - to create authority pages. In simple terms this involves writing content and building links. In simple terms SEO involves writing pages that use keywords, words people use in searches, and securing links from other pages to show how important your page is compared to others. Links are votes and votes get you elected to page 1 of a search query. As we have already covered links are important for search engine ranking but don't confuse quality with quantity. 10 or 15 links from quality relevant resources (pages) to your page will have a much bigger impact on how your page ranks than a 1000 low value links as sold by lots of SEO companies. Beware of what some SEO companies offer. In fact, if an SEO company offers you a set number of links for a set price run a mile, they're spammers!! It helps to have links to Facebook or Twitter as this will definitely count as strong external links to promote ranking for Google. If you are lucky enough to be a distributor or have some affiliation with a large company it would pay to ask them if you could get a listing (with a link) with them. Websites are one of the most effective ways to promote business material and advertising today. Lets be clear that it is not only for businesses but all levels of promotional and shared material users. It is a small price to pay for SEO to be recognised on the web and is cheaper and more effective than the Yellow Pages. See our SEO & SMO Pricing Table.